Superdry women’s Core Gym Tech panel crew jumper. This comfy crew neck jumper is made from stretch technology and is perfect to layer up. Featuring thumb holes in the cuffs, ventilation details on the reverse and Superdry branding panels on the front and zip. 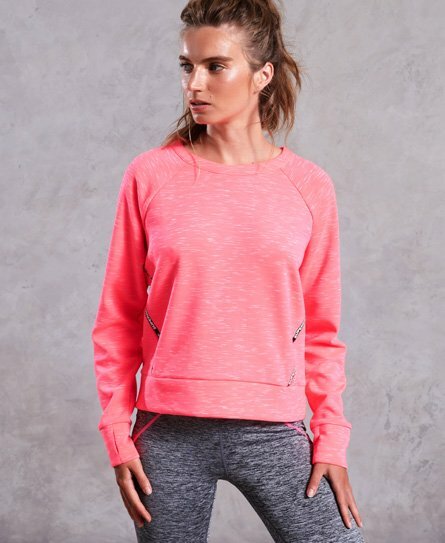 This is perfect to wear to and from your workout.